The photograph is that of Sangita Kalanidhi Shri. K. V. Narayanaswamy in his younger days! Several respondents identified him correctly. Congratulations! The next quiz will be up soon. The rock carving shownin this photograph is a representation of the sULAdi sapta tALas, the 35 basic rhythms that constitue the backbone of the laya system in Carnatic Music. Several respondents sent in correct answers. as a few respondents correctly identified. The next quiz will be up soon. as most of you rightly identified. as most of you rightly identified. Thanks for participating. The next quiz will be up soon. The musical genius in this picture is none other than T. R. Mahalingam (Flute 'Mali'). Thanks for the great response, folks. Most of you got it right. The next quiz will be up soon. Another simple quiz, judging by the large number of respondents, 99% of whom got it right. As expected, this quiz was indeed a simple one: the man standing next to MS is Ustad Bade Ghulam Ali Khan. Out of 75 respondents, there were only two wrong answers! Well done, folks! This quiz seems to have been a sitter! The flautist is indeed Sangita Kalanidhi T. Viswanathan, illustrious scion of the Dhanammal family, as 99% of the respondents identified correctly. The next quiz will be up soon. The flute vidwan in the centre of this picture taken at the Tyagaraja Aradhana in Tiruvaiyaru is SRI. PALLADAM SANJEEVA RAO. This quiz generated a record number of responses. Almost 50% of the respondents identified the artiste correctly while the other half thought it was Sri. 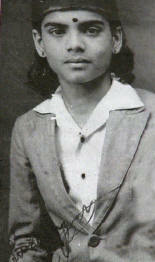 N. Ramani. Thanks for responding, folks! The musician is none other than Musiri Subramania Iyer, dressed as Sant Tukaram in the eponymous film. Thanks to the tons of folks who responded, most of whom got it right! The picture is from the Inauguration of the Music Academy's Annual Conference in 1947, the year of India's independence from British rule. The clue in the picture is the garlanded Semmangudi Srinivasa Iyer (third from left, wearing a Gandhi cap), that year's Sangita Kalanidhi awardee! At the age of 39, he was and still remains the youngest musician to be conferred the Academy's highest honour. To Semmangudi's right is his guru, Maharajapuram Viswanatha Iyer, the previous year's awardee. This Sangita Kalanidhi is the renowned Harikatha artiste and vocalist Embar Sri. Vijayaraghavachariar. He was bestowed the Sangita Kalanidhi title in 1982. Congratulations to the large number of respondents who answered correctly and our thanks to all for the overwhelming response! This was a tough quiz, judging by the responses that we received. However, one respondent Sri. Ramesh (Ramasubramanian) hit the jackpot, identifying ALL three persons correctly while T. K. Srinivasan got two out of three right. Congratulations to Ramesh... your prize will be in the mail soon! The vocalist on the left is Sangita Kalanidhi Alathur Sri. SRINIVASA IYER. The nadaswaram vidwan at right is Karukurichi Sri. P. Arunachalam. We had several responses to the quiz, but the success rate was pretty limited. No one identified Sri. Arunachalam correctly and many guessed the vocalist as one of the Alathur Brothers, but got the name wrong as Sivasubramania Iyer. S. Venkateswaran, B. Jagannathan & V. Ananthanarayanan were the only respondents who identified him correctly as Srinivasa Iyer. Thanks for responding, folks. Our next quiz will be up soon! Congratulations to Chandramouli (New Jersey, USA) & V. Muthuraman (Pondicherry) who got it right! The vocalist (right) is Sri. Chittoor Subramanya Pillai. The violinists (left) are Sri. V. Sethuramaiah and Mysore Sri. T. Chowdiah. Congratulations to all the correct respondents. Look out for our next quiz. The mridangist is Sri. Guruvayur Dorai and the vocal support is provided by Musiri's prime disciple Sangita Kalanidhi Sri. T. K. Govinda Rao. The violinist is Sri. Tiruvalangadu Sundaresa Iyer. Congratulations to the large number of respondents who sent in all-correct answers. The next quiz will be up soon. Congratulations to all those who got it right. We had several responses and almost all of you identified both personalities correctly. The next quiz will be up soon. Thanks for your responses, folks! There were no all-correct entries, but many of you got at least three correct answers. Mayavaram Govindaraja Pillai was the one that foxed many of you! The violinist is Kumbhakonam Rajamanikkam Pillai and the lady vocalist is none other than K. B. Sundarambal! Six respondents identified both the personalities correctly while a lot of respondents got at least one right. Well done folks... the next quiz will be up in a few days. The person in the middle is MYSORE VASUDEVACHAR. A quiz for which we had almost 100% all-correct answers! Well done! Only two respondents got it wrong... better luck next time. Another quiz that generated a flood of responses! Several of you got it right. Well done, folks... your enthusiasm is infectious! Yes, the scholar-musician featured in last week's quiz is indeed Sangita Kalanidhi Dr. S. Ramanathan, photographed without his trademark beard! The changed appearance seems to have foxed a lot of people... We had answers ranging from P. Sambamurthy to V. V. Srivatsa & S. R. Janakiraman and even DKJ! However, three respondents got it right: Chandramouli, New Jersey (in his second attempt! ), Ramakrishnan (Chennai) and M. Raghavender. Congratulations! We had a flood of responses to this quiz and several respondents got it right. Among the wrong guesses, many thought the duo was Brinda-Mukta or Radha-Jayalakshmi. Thanks for participating, folks! Look out for our next quiz which will be put up soon. We appreciate the overwhelming response for Photo Quiz 1. Five persons sent in all-correct responses: Chandramouli (New Jersey, USA), Ramakrishnan (Chennai), Rohan Krishnamurthy (Michigan, USA), Arunkumar Sridharan (Pennsylvania, USA) and Malathi P. (Kakinada, Andhra Pradesh). As the first all-correct respondent, Sri. Chandramouli will receive a special prize from Carnatica.